When it comes to sound fundraising practice, it is essential to know who to ask for donations, what to ask for, when to ask, where to ask, how to ask, and why you are asking. That should all be obvious. However, it is also important for you to know when to stop asking for money. There are many reasons that a fundraising professional should not ask for a charitable donation. Let me give you just one quick example. I want to share a story mega-philanthropist Peter Benoliel told me. Benoliel said that development professionals should avoid silly mistakes like sending multiple copies of the same appeal, sending a form appeal to a donor who has just made a gift, or ignoring a donor who is in the middle of a multiyear gift commitment. I asked him for an example. He shared that he was annoyed with one particular charity that sent him a letter asking him to include the organization in his Will. He explained that he had received this letter well after informing the charity that he had already included it in his estate plan. Benoliel, a sophisticated donor and winner of the Planned Giving Council of Greater Philadelphia Legacy Award for Planned Giving Philanthropist, felt that the unnecessary re-solicitation revealed a lack of appreciation for his support. At the very least, it indicated that the charity failed to properly handle vital details. Even if he was willing to forgive the mistake, he worried that other legacy donors might not be as forgiving and, therefore, the error could prove costly for the charity. More importantly, if that happened, it would be harmful to those the charity serves. When fundraising, it is essential to handle the details well. That certainly involves effectively asking for donations. However, fundraising involves so much more. 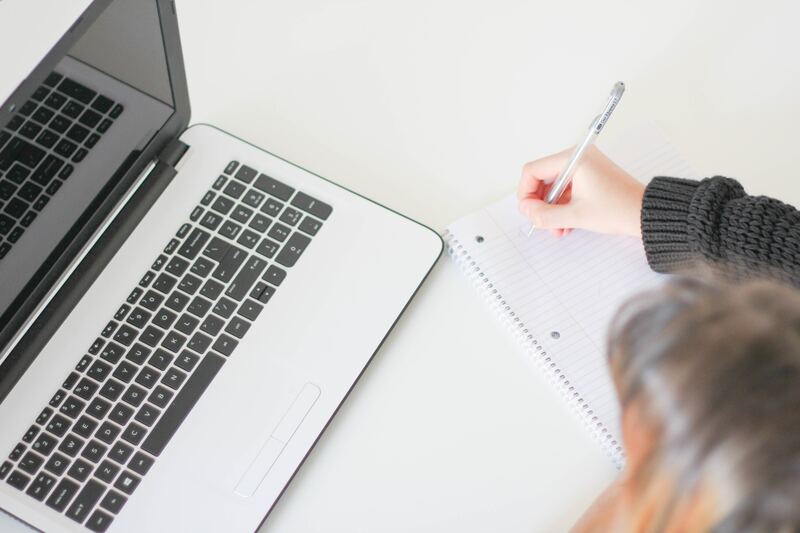 As Benoliel’s story demonstrates, it also involves proper record keeping, successful purging of mailing lists, and appropriate displays of appreciation. Showing proper thankfulness and gratitude will help maintain the donor’s commitment and could also lead to additional support. 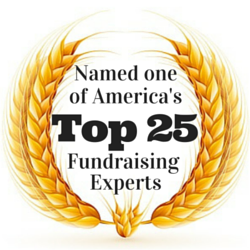 Who are Your Best Planned Giving Prospects? The fact that most Americans have the ability to make a planned gift presents both a great opportunity and a profound challenge for fundraising professionals. With limited staff and budget resources, it is essential to focus legacy giving marketing where it will do the most good. 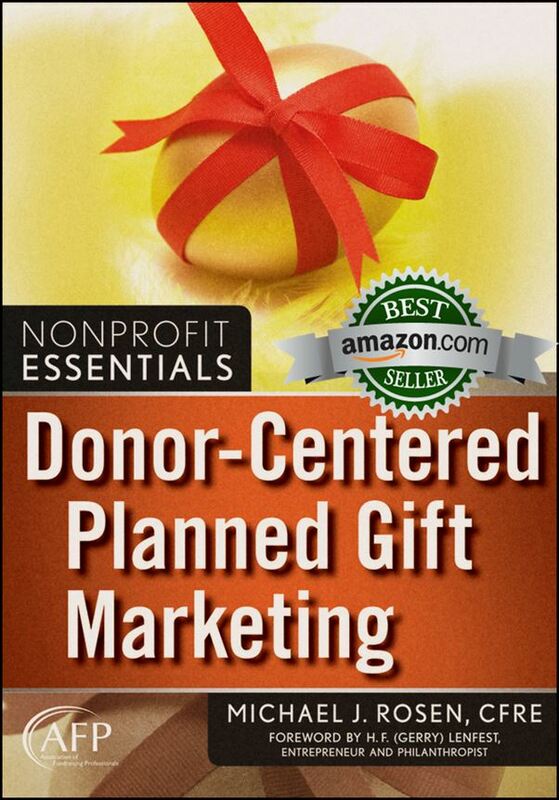 So, who are the best planned giving prospects? Your best planned giving prospects will have the means with which to make a planned gift, ideally a sizeable one. However, just because they have the ability does not mean they will take the action you desire. A number of factors influence a prospect’s propensity for giving. Some of those factors might be related to the organization seeking a gift while other factors might have nothing to do with the organization. Finally, we need to consider a prospect’s level of social capital, their degree of engagement with the community and the organization. Someone who scores high in each category is more likely to make a planned gift than someone who scores low. A simpler way to identify strong planned giving prospects is to recognize that “the most dominant factor in predicting charitable estate planning was not wealth, income, education, or even current giving or volunteering. By far, the dominant predictor of charitable estate planning was the absence of children,” according to philanthropy researcher Russell James, JD, PhD, CFP®. In other words, people who do not have children are far more likely to make a charitable planned gift than those who have children. However, while the absence of children tells us who is generally more likely to make a planned gift, it does not tell us whether your organization will be the recipient of such a gift. The leading factor that will determine whether someone will make a planned gift to your organization is their level of loyalty, according to legacy researcher Claire Routely, PhD. Is the current environment good or bad for planned giving? Should you invest more money in planned giving or current giving? What are five easy things you can do now to boost your planned giving results? In an upcoming, free webinar, I’ll answer these questions as well as inquiries from participants. In addition, all participants will receive a complimentary selection of planned giving tools to help with strategy building. Register today for this free webinar because the valuable information provided will help you meet your goals. After you register, think about the questions that you’d like to have me address during the live Q&A portion of the presentation. It’s no secret that nonprofit organizations face funding challenges. 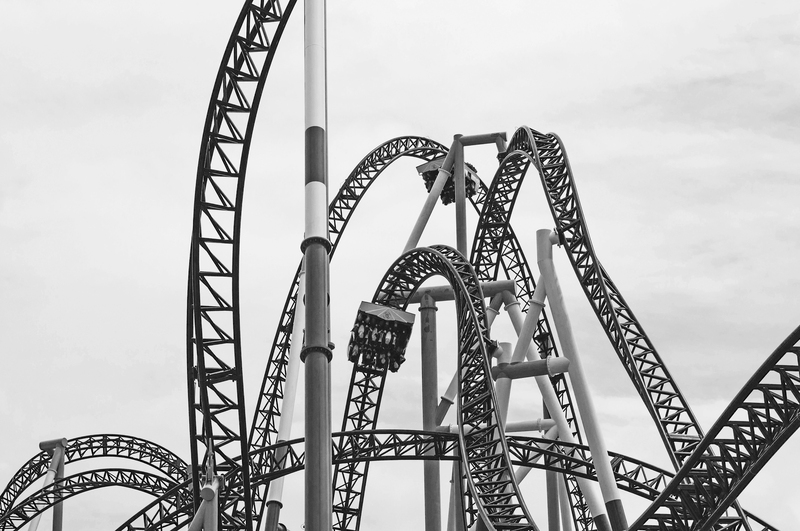 One of the biggest challenges is volatility. Donors give and often do not renew support. Sometimes, that’s the fault of the charity. Other times, it has nothing to do with what a charity does or does not do. For example, funding from government sources, whether contracts or grants, can go up or down depending on political whims and changing priorities. Recently, I was doing research for an article I was developing for the January issue of Advancing Philanthropy, the magazine published by the Association of Fundraising Professionals. While doing that, I identified five tips that can help all nonprofits better cope with funding volatility despite the fact that the article focuses on poverty-fighting charities. Globally, poverty has been on a sharp, steady decline. ‘In 1990, 37 percent of humanity lived in what the World Bank defines as extreme poverty; today that number is 10 percent,’ writes Gregg Easterbrook, author of It’s Better Than It Looks: Reasons for Optimism in an Age of Fear. Yet, even given that good news, nearly one billion people continue to suffer in extreme poverty around the world. While charities continue their efforts to combat poverty and its effects, government funding is becoming increasingly unreliable. With the national debt over $22 trillion and climbing, the federal government is contemplating cutbacks. Already, some state governments have been cutting back funding to charities. You might never have heard of Stefani Germanotta. Yet, she is known internationally as a top recording artist, nine-time Grammy Award winner, social activist, and philanthropist. Following the 91st Academy Awards, we now also know her as an Oscar winner. You, as her millions of fans around the world, likely know her better as Lady Gaga. Jesse Desjardins, when he was Social Media Manager for Tourism Australia, recognized that Lady Gaga is more than a singer. He recognized that she is even more than an entertainment genius. He understood that marketing and public relations professionals could learn from her, so he put together an interesting PowerPoint presentation, “10 Ways to be a Marketing Genius Like Lady Gaga.” When I saw the slides, I believed that fundraising professionals could also learn a great deal from her. Thanks to permission from Desjardins, I’m able to share 10 useful insights with you. By speaking out, Gaga makes certain no one forgets her. She remains relevant. She advances the issues that she finds important. She engages her fans. Your organization has an important mission. Let supporters and potential supporters hear about it beyond those times that you ask for money. Stay in front of them. Remain relevant. Engage people year-round while advancing your organization’s mission. Communicate about issues relevant to your organization’s mission. Ask supporters to help in ways that don’t involve giving money (e.g., volunteer, call elected officials, etc.). Share information people will want and appreciate. To put that into perspective, there are only five people on the planet who have more Twitter followers. In other words, tens of millions of people want to hear what Gaga has to say, and she says things people want to hear. She speaks to people where they are. Today, people consume information in more ways than ever before, and how they do it varies by age group. You need to be where they are if you want your message heard. Understand the demographics of your supporters and potential supporters and learn what media they consume. Then, be there with relevant, meaningful information. You’re not alone. Unless you work for an exceedingly rare charity, others have the same or similar mission as your organization. What makes your organization special? Why should people care about your organization instead of the others that do similar things? You need to address those questions if you want to capture hearts. If your organization relies on donations to fulfill its mission, don’t be shy about doing what it will take to get the funds your organization needs. Don’t be afraid to ask people for money. When people ask you what you do for a living, answer them with pride. No, you don’t need to create a secret handshake for your supporters. However, you should create a sense of belonging. People would rather join a cause, a movement for change, than simply give money to a dusty institution. Provide people with easy ways to connect with you. Give them opportunities for meaningful engagement as a way to build connection. Are You Ignoring an Essential Step in the Fundraising Process? These are challenging times for fundraising professionals. Fewer people are giving to charities. Donor retention rates continue to fall. Volunteerism is down which negatively affects current and planned giving. Despite those challenges, and more, many nonprofit organizations continue to ignore the one simple thing that would help them retain more supporters and raise more money. It’s an essential, though often ignored, step in the fundraising process. At the heart of February rests a special time for many: Valentine’s Day. It’s a celebration of love. Unfortunately, when it comes to how nonprofit organizations show love to donors, at this or any other time of year, many do a poor job. That’s the opinion of veteran fundraiser Mark Chilutti, CFRE, Assistant Vice President of Development at Magee Rehabilitation Hospital – Jefferson Health. I’m passionate about donor stewardship. I think the reason this topic is so important to me is because I have seen more bad examples of donor stewardship than good ones. I also believe that stewardship is a lost art. We often hear that the next time the donor hears from a fundraiser is when the fundraiser is asking them to give again. Because I work at a small place, our major donor pool isn’t very large. I have always believed that after working hard to secure a gift, I have to then channel that same energy into letting my donors know just how much I appreciate them and the impact that their gift has made for our patients, programs, and services. I do this in a variety of ways, and they all are easy and inexpensive! We always strive to get the “official” thank you out within 72 hours, but that’s just the beginning. Depending on the size of the gift, the donor might also receive an email, a card, a call, or sometimes; all three. My CEO prefers to send handwritten cards, while my Board Chairman is happy to pick up the phone. They both are effective and appreciated, which is why I struggle to understand why more organizations don’t do this. My work doesn’t end there, though, and I use simple creative ways to stay in touch all year. While strolling through the hospital, I’ll often snap a quick picture of a patient using a piece of equipment or a donor-funded program happening, and I can then send that in an email saying, “Saw the equipment you funded being used by a patient today and just wanted to say thanks again!” This type of email usually gets a quick response telling me I made their day or how good they feel to know their gift made an impact. I also make sure that staff outside of the Development Department is involved in the thank you process, too, by having them write cards or take pictures that I can send to donors. We also engage patients and family members in this process, and whatever they write is so much more meaningful, as it comes from the heart. These are just a few of the tips I will present in my session at AFP ICON as I share things that an organization of any size can do easily to make their donors feel appreciated. My hope is that participants in the session will be taking notes and taking lots of ideas back home to put into place right away. As I write this post, Valentine’s Day has arrived once again. Originally a religious feast day, it has evolved into also being a cultural and commercial celebration of love. So, what does that have to do with fundraising? Everything! Think about it. The very word philanthropy means love of humankind. Passion, caring, and relationships are essential to romantic love. They are also vitally important to the fundraising process. If you treat your donors like an ATM (cash machine), they likely won’t be your donors for long. By contrast, if you understand and tap into their philanthropic passions, show them you care about their needs, and develop a relationship with them, they’ll be more likely to renew their support and even upgrade their giving over time. When volunteers, and even fundraising professionals, are fearful of asking for contribution, it’s probably because the organization is placing too much of an emphasis on asking and focuses too little on relationship building. Let me be clear. Fundraisers who fail to develop relationships are simply beggars while those who build relationships, as well as ask for gifts, are development professionals. February is Black History Month. Frankly, I don’t like the occasion. We should not need a special month to recognize and celebrate Black History. We should learn Black History every month. For that matter, we as Americans should spend more time learning history in general. We would benefit by learning more of our history, with its complexity and diversity. The insights, perspectives, and inspiration of studying history are invaluable and provide much needed context for current events. Oseola McCarty was a quiet, 87-year-old African-American woman living in Haittesburg, Mississippi. Even as a young child, she worked and she saved. “I would go to school and come home and iron. I’d put money away and save it. When I got enough, I went to First Mississippi National Bank and put it in. The teller told me it would be best to put it in a savings account. I didn’t know. I just kept on saving,” McCarty said. Unfortunately, when McCarty was in the sixth grade, her childless aunt became ill. McCarty left school to care for her and never returned to school. Instead, she spent a lifetime earning a living by washing and ironing other people’s clothes. And, she continued to save what she could by putting money into several local banks. She worked hard, lived frugally, and saved. 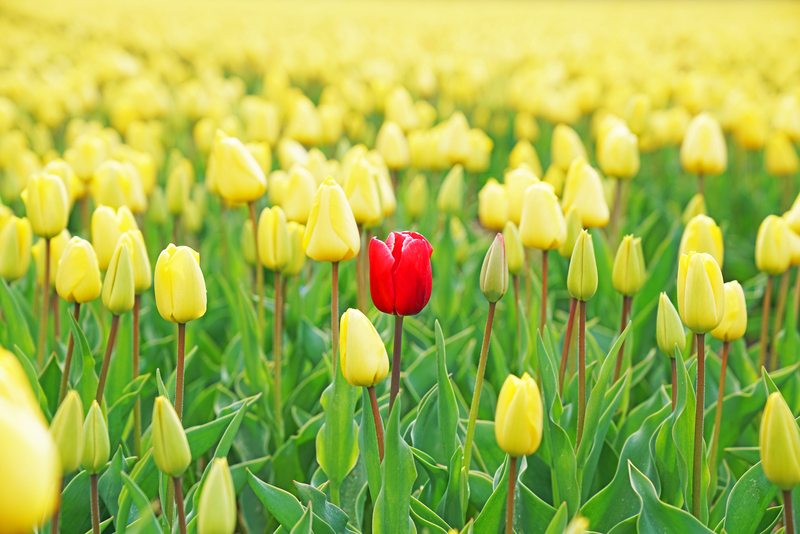 Are Donors Abandoning You, Or Are You Abandoning Them? Donor retention rates for both new and renewing donors remain pathetically low and, actually, continue to decline. There are a number of reasons for this, many of which I’ve addressed in previous posts. However, just recently, I learned of a situation I had not considered previously. So, I want to make sure you’re aware of the problem and understand how to easily fix it. I heard about the problem from The Whiny Donor, a thoughtful donor who uses Twitter to generously provide fundraising professionals with feedback and insights from a nonprofit-contributor’s perspective. In December, we gave through our DAF to several nonprofits that we had supported for many years with direct donations. I suspect several of them won’t have the capacity to make the connection, and will now consider us lapsed donors. As a philanthropic tool, Donor Advised Funds offer people a number of financial advantages compared to giving directly to nonprofits or not giving at all. At the end of 2018, we saw significant growth in the number and size of DAFs, in part, as a result of the new tax code. Should the charity thank the DAF or the individual supporter? Who should the charity continue to steward, DAF or individual? How should the charity track and report the donation? Does the charity’s software help or hurt these efforts? The Whiny Donor worries that charities will recognize the DAF and ignore the role she and her husband played in securing the gift. She fears some organizations will assume she has abandoned them when, in fact, she has not. This is a very real concern. As DAF giving becomes more common, I’ve heard many examples of how nonprofit organizations have stumbled. Some thank the individual, but not the DAF. Some thank the DAF, but not the individual. Some thank both the individual and the DAF. Some don’t thank either or thank in the wrong way. Here’s what you need to know: The DAF is the donor. The individual is not the donor when the gift comes from a DAF. Because of the way DAFs are structured and the laws regulating them, individuals can only make a contribution recommendation to the DAF administrator (e.g., Fidelity Charitable, National Philanthropic Trust, Schwab Charitable, etc.). Because the DAF is the donor, you should thank and send receipts to the DAF. However, as The Whiny Donor suggests, that’s not good enough. You should also thank the individual who recommended the DAF gift.